Memory Foam Mattress | Reviews, Ratings, and Comparison You Can Trust. Unbiased Mattress Reviews and Pillow Reviews You Can Trust. MemoryFoamMattress.org was developed in response to the ever-growing number of mattress and mattress pad shoppers who have heard about benefits of memory foam but have not been given enough information to make a proper buying decision. Our goal is to make informed buyers out of every foam mattress shopper. We do this with the help of Dr. Rick Swartzburg, D.C., an expert in the subject of pain relief and proper sleeping posture aids. After several years of research, he has accumulated a vast amount of information on this subject and has figured out how to convey it in a clear and concise manner to help people with this very important decision-making process. The following information will cover everything you need to know about this important subject and offer memory foam mattress reviews of other sites that specialize in these products. 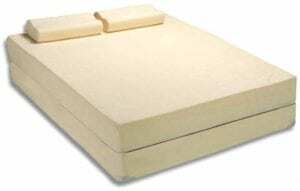 We have memory foam mattress reviews of various top mattress brands. See also our memory foam pillow reviews, for information, reviews and ratings of the best memory foam pillows available. Our blog has articles about sleep issues, information about mattresses, materials, about pillows, fillings & materials, and certifications. For help in selecting a mattress, read Choosing the Correct Mattress and Sleeping Position.